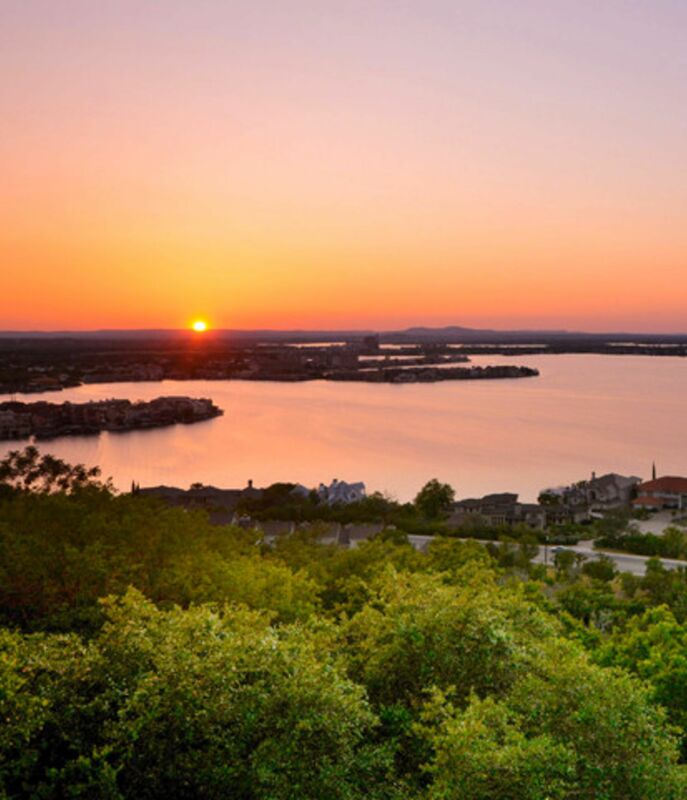 Horseshoe Bay, Texas Real Estate, Keller Williams Sterling Group. Choose the "Sterling Difference" today! Horseshoe Bay is located at 30°32′41″N 98°22′06″W (30.544814, -98.368428). It is located in primarily in Llano County and extends eastward into Burnet County, on the southern shore of Lake Lyndon B. Johnson. It is about 28 miles (45 km) southeast of Llano and 51 miles (82 km) northwest of downtown Austin. According to the United States Census Bureau, the city has a total area of 11.6 square miles (30.1 km2), of which 11.4 square miles (29.5 km2) is land and 0.23 square miles (0.6 km2), or 1.83%, is water. As of the census of 2000, there were 3,337 people, 1,623 households, and 1,186 families residing in the CDP. The population density was 142.8 people per square mile (55.1/km2). There were 2,773 housing units at an average density of 118.7/sq mi (45.8/km2). The racial makeup of the CDP was 96.22% White, 0.33% African American, 0.24% Native American, 0.78% Asian, 1.47% from other races, and 0.96% from two or more races. Hispanic or Latino of any race were 4.29% of the population. There were 1,623 households out of which 11.6% had children under the age of 18 living with them, 68.5% were married couples living together, 2.8% had a female householder with no husband present, and 26.9% were non-families. 24.0% of all households were made up of individuals and 12.1% had someone living alone who was 65 years of age or older. The average household size was 2.06 and the average family size was 2.37. In the CDP, the population was spread out with 10.6% under the age of 18, 3.4% from 18 to 24, 15.0% from 25 to 44, 36.2% from 45 to 64, and 34.8% who were 65 years of age or older. The median age was 58 years. For every 100 females there were 95.7 males. For every 100 females age 18 and over, there were 95.7 males. The Llano County portion of Horseshoe Bay is served by the Llano Independent School District. The Burnet County portion is served by the Marble Falls Independent School District. The climate in this area is characterized by hot, humid summers and generally mild to cool winters. According to the Köppen Climate Classification system, Horseshoe Bay has a humid subtropical climate, abbreviated "Cfa" on climate maps. Jump up^ "US Board on Geographic Names". United States Geological Survey. 2007-10-25. Retrieved 2008-01-31. Jump up^ "Boundary Changes". Geographic Change Notes: Texas. Population Division, United States Census Bureau. 2006-05-19. Archived from the original on 2006-02-06. Retrieved 2008-05-27. Jump up^ "Geographic Identifiers: 2010 Demographic Profile Data (G001): Horseshoe Bay city, Texas". U.S. Census Bureau, American Factfinder. Retrieved April 23, 2014. Jump up^ "Population and Housing Unit Estimates". Retrieved June 9, 2017. Jump up^ "Census of Population and Housing". Census.gov. Archived from the original on May 12, 2015. Retrieved June 4, 2015.